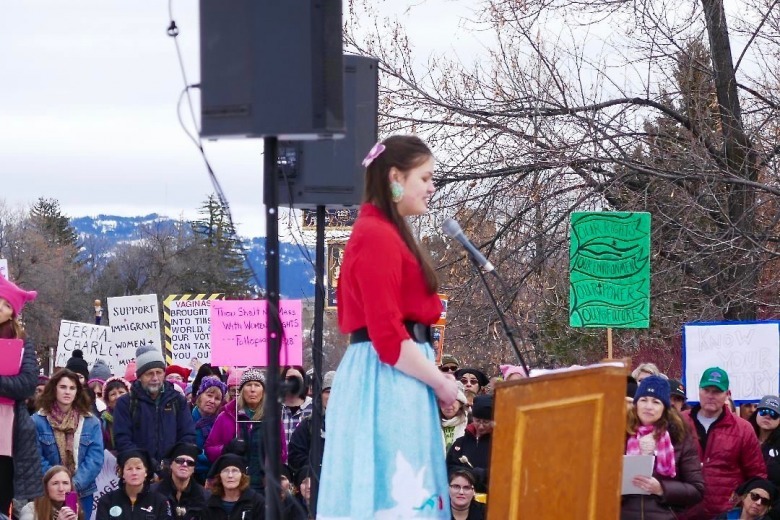 Florence Doyle touched upon some heavy topics in Indian Country but the stories she told were about young people leading change and embracing hope. 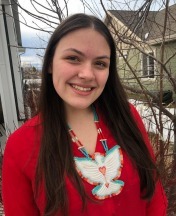 Doyle and other young women wore red, to call attention to the disappearance and murder of thousands of indigenous women in America. Photo by Tim Crawford. For 12,500 years we have stewarded the land we share. What you have come to love as your public lands today, Native people stewarded for centuries. Even with original populations that rivaled the masses in Europe, we squandered neither our water, nor our lands. No other group has put their lives on the line more bravely for a patch of dirt or a puddle of water to remain unmolested, so that we can all share in the wellness it offers. And don’t think it happened just once at Standing Rock. Truly, it has happened over and over and over, with pics and shovels; guns, germs, and steel; paper and pen. We keep standing up for our lands, the ones we share with you, because we have a Protector’s heart. For 12,500 years Native American women have been investing in a legacy of courage, compassion, and competence. Today I want to encourage all of us young ladies. There’s a lot of depression and discouragement out there. A million times a day, we feel like we don’t measure up, but there is one sure way to rise up against that lie—we do our best with what’s in front of us, proud of who we were created to be. 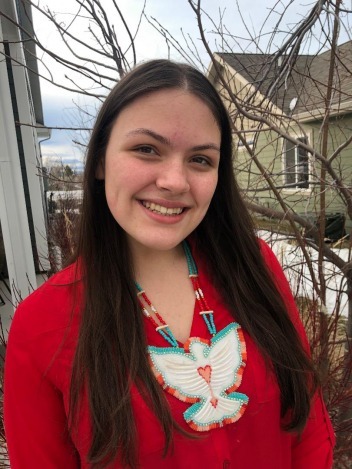 Marita Growing Thunder, from Polson, MT has sewn more than 170 ribbon skirts, each in honor of an American Indian woman who is missing or murdered. 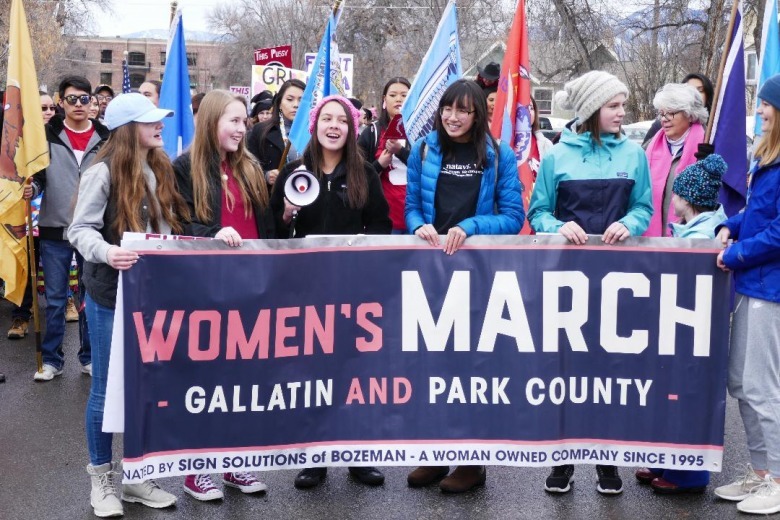 She organized the annual Save our Sisters 80-mile walk to bring awareness to the fact that for every one woman murdered in this nation, 10 Native American women lie dead. After 30 attempted suicides among friends in one summer, Jasilyn Charger dedicated herself to launching the One Mind Youth Movement. Working to address the crisis of trauma Native youth have inherited, they believed they would also inherit an Environmental crisis, so they directed their action at the Dakota Access Pipeline threatening their homes. What began as an action to protect friends from suicide, turned into a national movement to protect land and water for everyone. Many of us are familiar with the NoDAPL movement, but few realize it was launched by a small group of grieving teens. The One Mind Youth Movement established the first prayer camp just off the pipeline access route that would soon become the Sacred Stone camp at Standing Rock, the global symbol of unity and non-violent protest against big wrongs. What began as an action to protect friends from suicide, turned into a national movement to protect land and water for everyone. Many of us are familiar with the NoDAPL movement, but few realize it was launched by a small group of grieving teens. These ladies show us that great things can start small—one skirt, one mile, one prayer, one dress. That’s something each of us can do. Even if what we do doesn’t turn into a world-wide movement, we’ve had the opportunity to practice compassion and courage with competence—the virtues of strong Native women that grow the heart of a protector. Today I want to encourage all the young women here, including myself, let’s be on the lookout. Let’s guard our minds and ignite our ambition. Let’s be careful we don’t end up just watching videos about what other young women warriors do. Let’s take up our Protector’s hearts and become the girls other people make videos, and podcasts, and social media posts about. Let’s make our own DIYs with real solutions to real problems. Most importantly, let’s find what matters in our world and protect it.